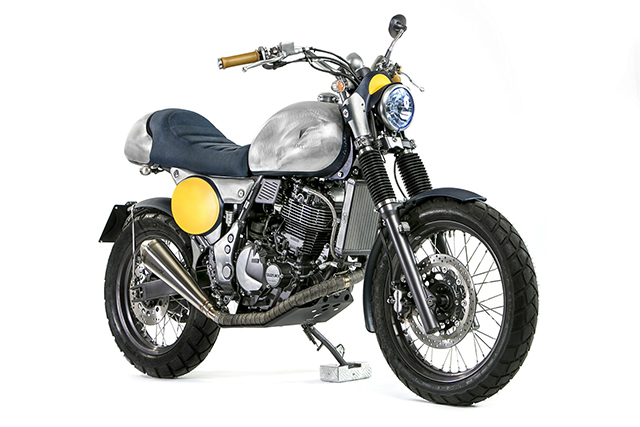 Flavio Cortiano is a builder who loves potential, with motorcycles having been his “passion since forever”. 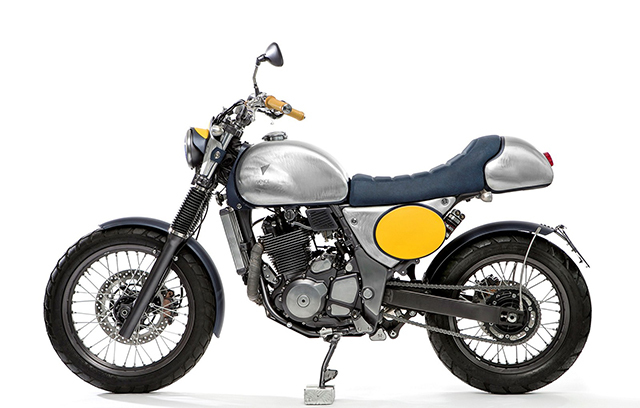 Specialising in customising the less popular models, the Italian bike builder knew that he could do something with the bike he rescued from a hard life at a motorcycle training school. Once it rolled into the Vence Prodigal workshop, the XF650 was stripped down and the work began. 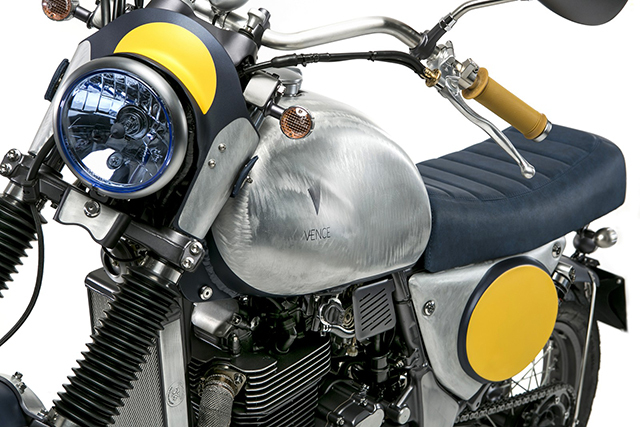 Flavio found his initial inspiration while studying a Moto Guzzi Lodola fuel tank, deciding the Freewind would make a great base for a sweet scrambler project. Once the bike was pulled down, the motor was completely overhauled, with the cylinder head given the CNC treatment by MaxMotors. On reassembly, the factory ECU gained a piggyback unit in the form of a Nikki XF650 specific plug-and-play. 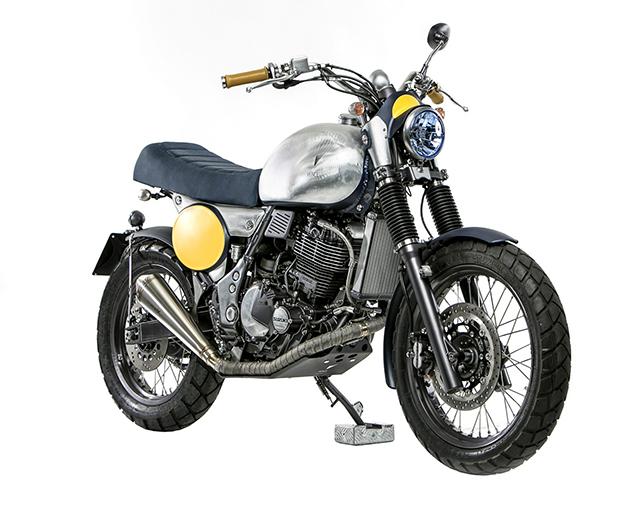 The reborn thumper takes advantage of it’s awesome engine noise by running a brand new stainless steel exhaust setup, allowing the bike to sound as good as it looks. To help lower the temperature in the oil cooled powerplant, an oil cooler featuring a larger exchange area was custom made. Peppered throughout the bike, you will see the original OEM bolts have been chromed, with any additional bolts supplied in brushed stainless. The fuel tank, side covers and light covers are all courtesy Metal Bike Garage, while the guards are aftermarket units. 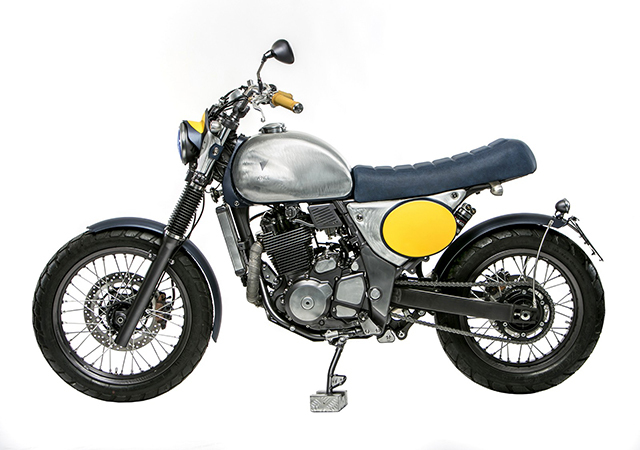 One cool touch Flavio has built into the bike is the ability to swap the tail section of the body, with the removal of four screws and disconnecting an OEM plug, the aesthetic can go from scrambler to a shorter ‘cafe style’ seat. To give the bike a more sporting stance, the front end has been overhauled and the rake changed to reduce the wheelbase. At the rear sits a Wilber 641 suspension system, allowing for an adjustable wheel base. The wheels are factory, re-anodised and shod in Metzeler rubber, the brakes are overhauled OEM units with Frentubo piping. The control setup is attractive yet functional, the bars are flat track LSL with KungFu natural grips. The bar ends have been CNC cut from one solid block, while the throttle control is a beautiful Tomaselli Gold unit, blasted and painted to suit the look of the bike. 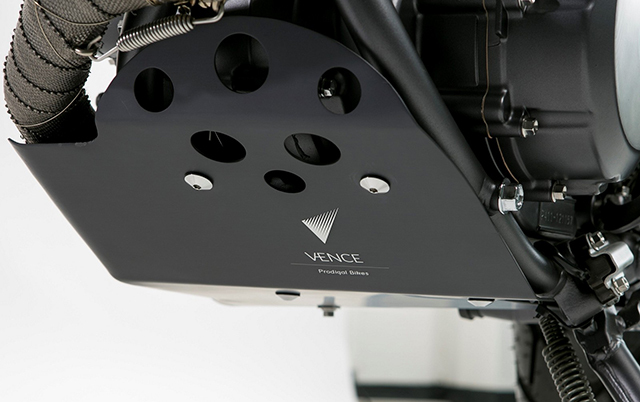 The foot pegs and controls are Gifrap supplied, while the sprocket cover and headlight supports were made inhouse at the Vence Prodigal workshop. From abused learner bike to the final product you see here, this XF650 has certainly been given a new lease on life. Big thumper sound, old school scrambler aesthetics, and the ability to change the look when required, has produced a sweet and useable ride. With so much thought put into the build, it has helped with the quality of the final product. 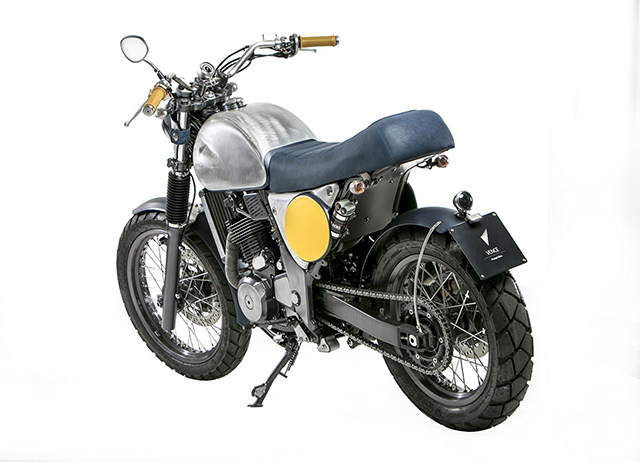 Although we love the idea of the interchangeable seat which instantly gives the bike a different look, we much prefer the classic lines of the flat scrambler seat. Which seat setup do you prefer?